There are over 25 WALT DISNEY WORLD® Resort Hotels to choose from for your vacation. Find out which one is best for your stay. The Walt Disney World® Resort Hotels range in amenities, themes and more. There is something for everyone ranging from the budget conscious young family to the couple looking to splurge on a romantic getaway, and everything in between. The higher the category of the hotel you select, the more amenities your property will have. However, all Disney hotels include transportation throughout the Resort, themed swimming pools and amazing Disney service. Additionally, all Walt Disney World® Resort Hotels, no matter the category, include exclusive perks. Some of these include free airport transportation, free resort hotel parking and Extra Magic Hours at the four theme parks. Guests at all Walt Disney World® Resort Hotels also receive one Magic Band per ticketed person in their party. Along with the Magic Band, hotel guests are able to make Fastpass+ reservations up to 60 days in advance. That’s a whole month earlier than non-Walt Disney World Resort hotel guests. One other thing to consider when deciding to stay at one of the Walt Disney World® Resort Hotels is that only hotel guests can take advantage of the dining plans. Depending on how your family vacations, the Disney Dining Plans can save your family a ton of money. In addition to the price and amenity level, there are some other factors you’ll want to consider when selecting which of the Walt Disney World® Resort Hotels is best for you. You’ll want to look at the hotel’s location and factor in which parks or activities you’re most interested in. Additionally, you will want to pay attention to the hotel’s theming. 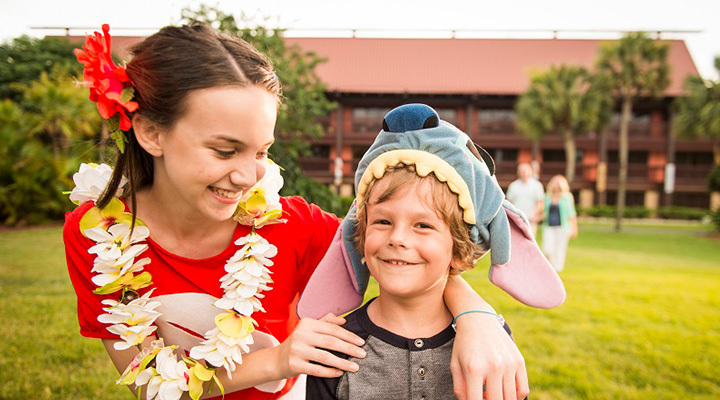 If you have a Moana obsessed daughter, you may want to look at Disney’s Polynesian Village Resort. If your sons are into competitive sports, they’ll love the All-Star Sports Resort. If you have an animal lover, staying at Disney’s Animal Kingdom Lodge with a savannah view will be an experience you’ll remember forever. You may end spending more time at your hotel than you anticipated when you choose one for your family! No matter what you are looking for, there is the perfect Disney World Resort Hotel for your Disney vacation. You can view all of the available Walt Disney World® Resort Hotels on our site, or call our agents for personalized assistance.